Houseboats Murray Bridge – A relaxing houseboat holiday experience! Houseboating in Murray Bridge is a great way to explore the amazing limestone cliffs close by including Big Bend. 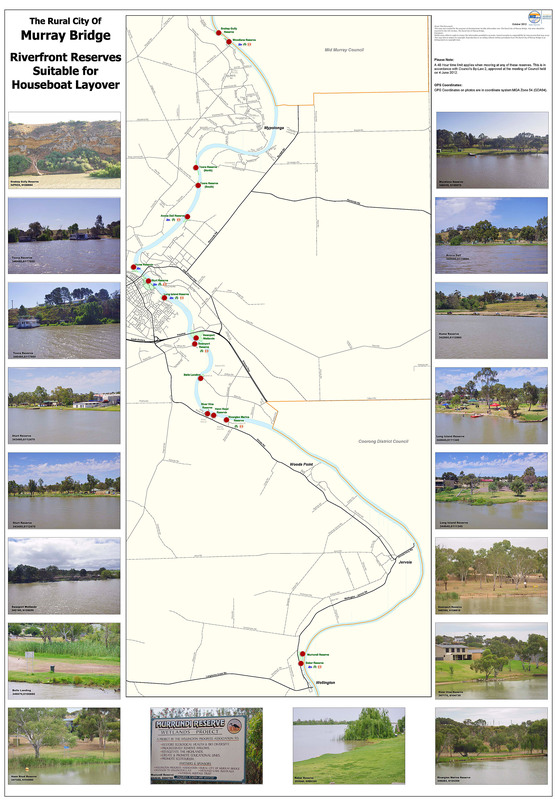 Hiring a houseboat in Murray Bridge is easy, check out all the boats below and send an enquiry to the ones you like. Most houseboats are suitable for 6 to 12 people, which can equate to as little as $30 per person per night on some boats! Most operators provide linen, there is usually secure parking available for vehicles for a fee and all you need is an unrestricted drivers license to drive a boat. The boat manager will take you out for a lesson before leaving, it’s easy. Houseboating in Murray Bridge is fascinating at all times of the year, with summer being vibrant and great for swimming, skiing and water sports in general. Winter is a great time to setup campfires and enjoy the crispness and serenity of the Murray River. Towns close by include Mannum, Bowhill, Nildotte and Walker Flat. Down river you can head to Tailem Bend and Wellington. Great Escape is a great houseboat for a Murray River getaway. With 6 Bedrooms + 6 Bathrooms, 12 Berth, 6 Queen or 12 Singles, with Jacuzzi Spa on top deck you’ll have a great time on the river! Oz Houseboats commenced operations as Jubilee Line Houseboats in 1991 at Long Island Marina, Murray Bridge, with 2 houseboats. Shortly after commencement of business Peter Sommers the owner/manager was asked to take on additional houseboats under management. There are now 15 houseboats in the fleet ranging from budget to luxury.